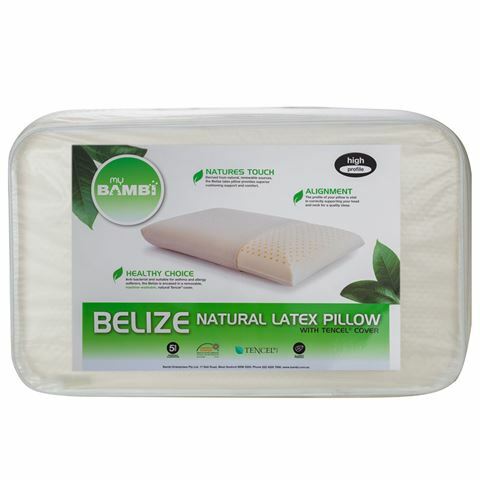 Bambi’s Belize Natural Latex Pillow is the perfect choice for asthma and allergy sufferers. This soft and supportive pillow is vital in correctly supporting your neck and head for a quality night’s sleep while the removable Tencel cover feels incredibly soothing against the skin while aiding in moisture dispersion. 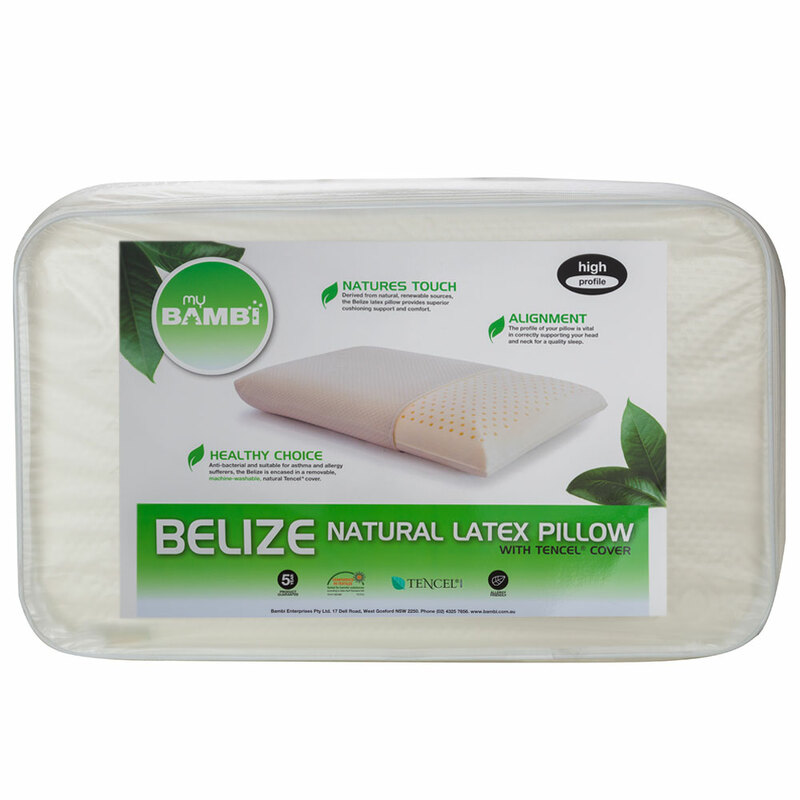 Pillow is crafted from latex. Cover is crafted from Tencel. Tencel features a high moisture absorbency and dispersion. Pillow is soft yet highly supportive. Designed to correct your spine alignment for a superior night’s sleep. Anti-bacterial design is perfect for asthma and allergy sufferers. Tencel cover is removable and machine washable. Presented in a Bambi clear zippered storage case. Dimensions: Approx. 66cm (l) x 15cm (h) x 42cm (w).